Tropical Storms and Hurricanes are a cost of doing business on the Texas Gulf Coast. 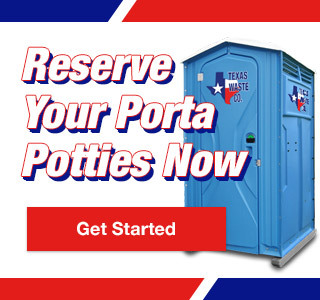 Since 1999, Texas Waste Co. has provided portable toilets and disaster relief waste services to redress damages caused by Tropical Storms Allison, Bill and Edouard and Hurricanes Rita, Ike, and Patricia. When the going gets tough, Texas Waste Co. gets going! Don’t get overwhelmed by the next tropical storm or hurricane. Call Texas Waste Co. for strong customer service and a sanitary waste experience.